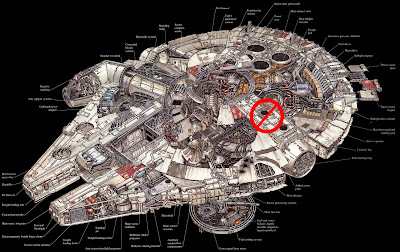 Trek Geek: Getting The Details Right! 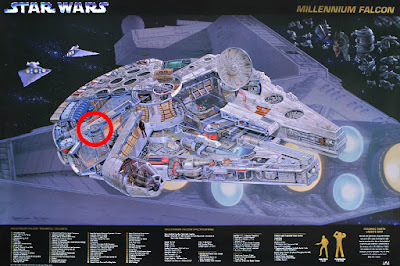 Part of working with studios on these big projects is getting the details right… I learned that there were three different models for all three films… each subtly different… and that there were people who had already done a lot of the leg work to rectify some of these inconsistencies… In comes Lora Johnson during the drawing process for the Millennium Falcon… Lora had worked on some of the earliest books and magazines called the Star Wars Technical Journals. In speaking to her on the Falcon project one of the biggest misconceptions was the upper hatch Lando uses to save Luke who is hanging by a thread from the bottom of Bespin. Many Cutaways have been drawn but only one has ever gotten this detail right… The first cutaway… My cut away. All subsequent versions show the hatch to port but in fact the hatch in the film is on the Starboard side side. 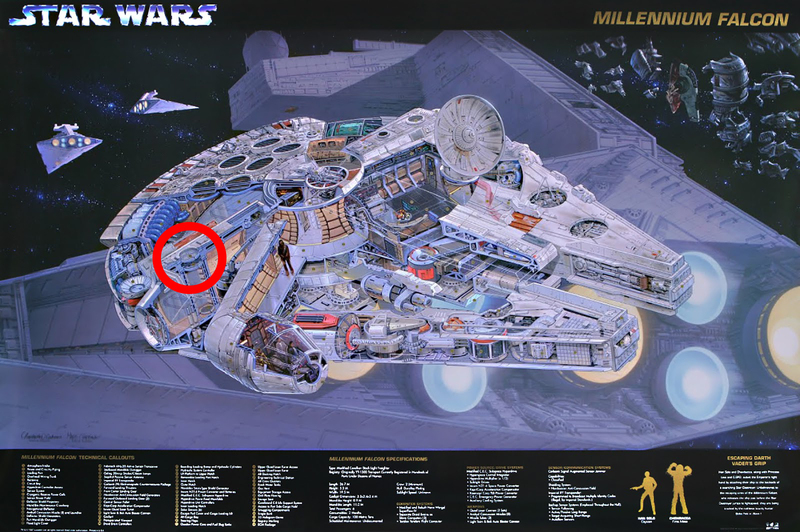 When referencing the original model you can see that the Port side shows no hatch whereas the Starboard side does show a hatch… as well the details of the set Lando emerges from coincide with the Starboard hatch and not the Port side. 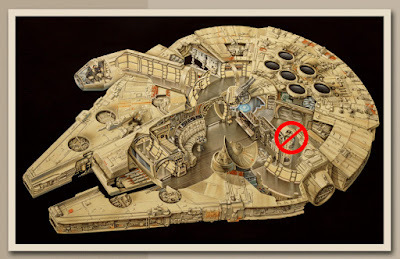 "After that I need to show that the lift-tube is not on the side that Lucasfilm put it in plans. 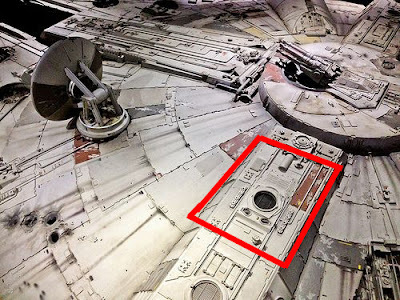 These images show, categorically without any room for doubt, that the lift is on the starboard side of the ship. 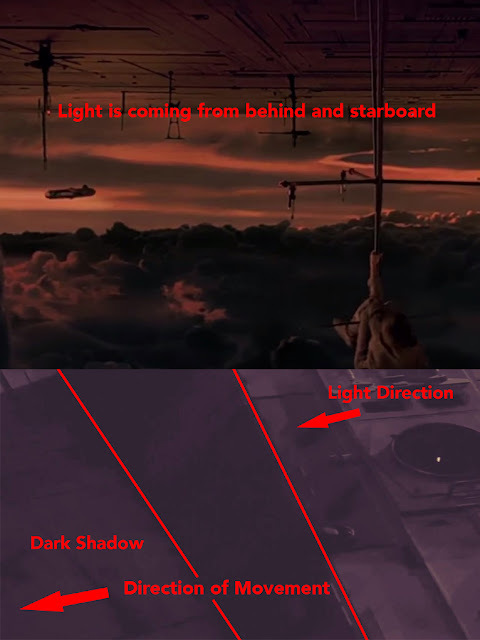 The images are reinforced with the logic seen on film: the movement of the ship under Luke to Starboard, and Lando taking him to Leia in the cockpit which is now closer and on the same side of the ship as the lift - instead of taking him from Port, past the medical bunk, to Starboard and then back to Port. momentum in the scene... 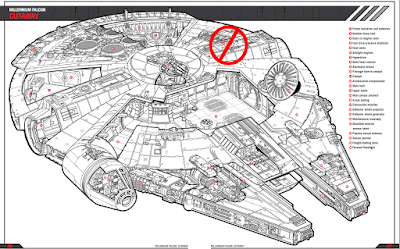 The reward requires lightening the frame to see the curve of the top of the Falcon fall away towards starboard. 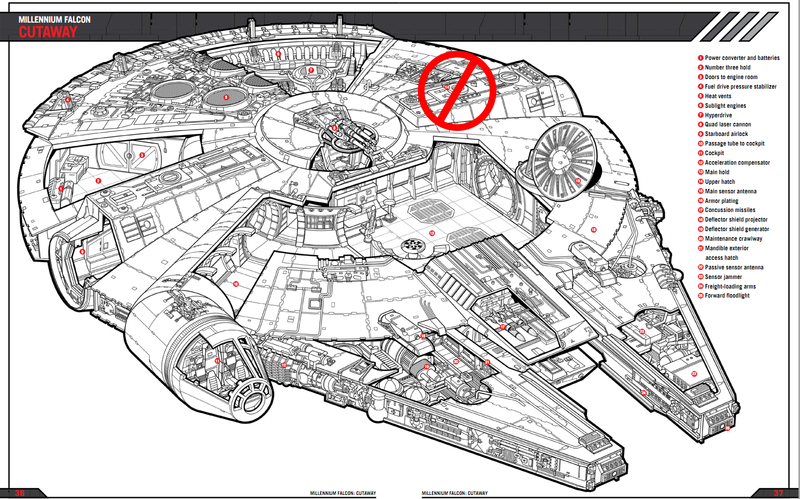 This is incontrovertible. 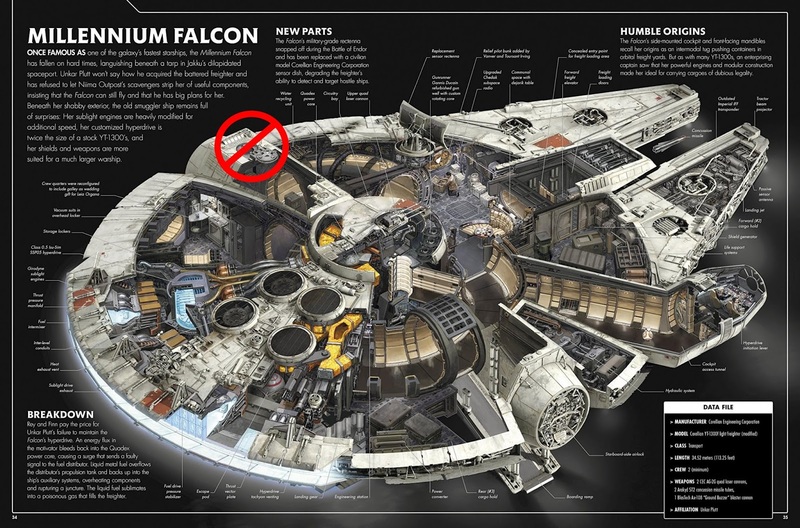 And that's why the first ever cutaway of the Falcon is the most accurate! Now I’m sure there are tons of people who will vehemently disagree… Hell Lora will tell you even I was a hard sell initially but the proof is in the those small details and while Lucas film may have mental moved it post filming the facts remain that starboard is the answer!